Notejoy offers a deep integration with Trello, a popular task management app, to make it seamless to keep your notes and tasks in sync. Get started by adding Notejoy from it's Power-Up Page. Attaching a note to a Trello card makes it easier than ever to keep tasks & their associated notes seamlessly in sync. 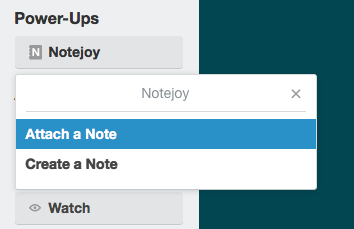 From a Trello card, press the Notejoy power-up and select Attach a Note. You'll then be able to search your notes to find your desired one. To make sure all board members can access the attached note, make sure the note is in a team library and you have given all board members access to the team library. Sometimes you'll start your workflow with a Trello card. In that case, we've made is super quick to create a new Notejoy note where you can keep all the task details. 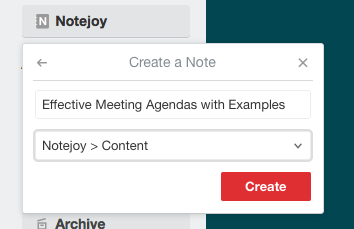 Press the Notejoy power-up button on the Trello Card and select Create a Note. We'll even automatically suggest a name for you based on the card name. Once you've attached a note to a Trello card, whoever comes to the Trello card will always see the latest details of the note, including note authors, when it was last modified, it's title, and description. When you click on an attached note on a Trello card, you'll be able to see the full note right inside of Trello. 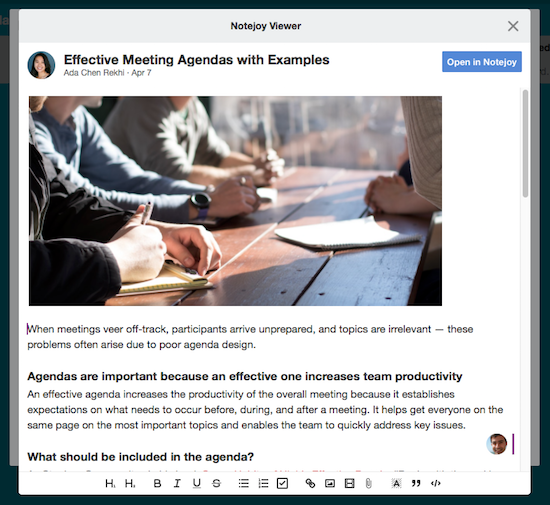 You'll even be able to directly edit the note from Trello, including collaborating with other editors regardless of where they may be editing (Trello, Notejoy's web, desktop, or mobile apps). If you need to go deeper, like comment or react to a note, you can click the Open in Notejoy link to be deep-linked to the note in Notejoy.